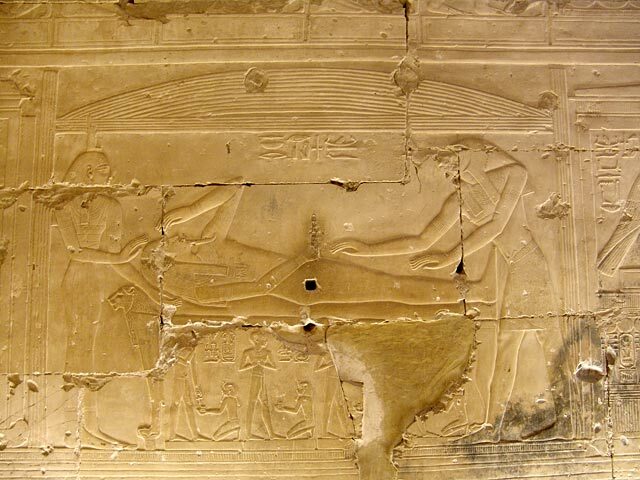 Funerary practice in the mastaba of Qar with lector priest, embalmer and mourner Drt; the scene is closed by two images of an ox. V-VI Dynasty. Giza. Image: W.K. Sympson. 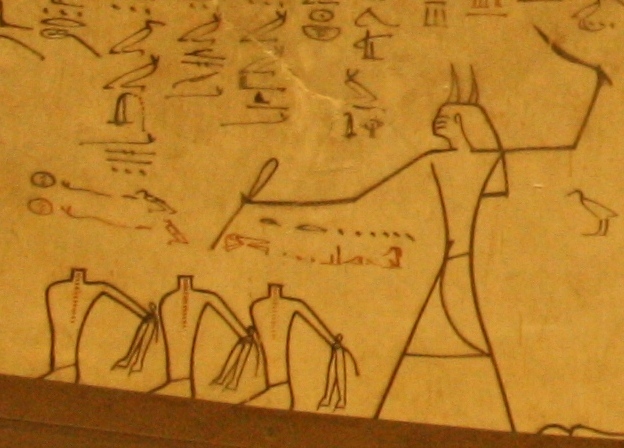 The Egyptian word s3mt. “Hair”, “Mourning” or both? 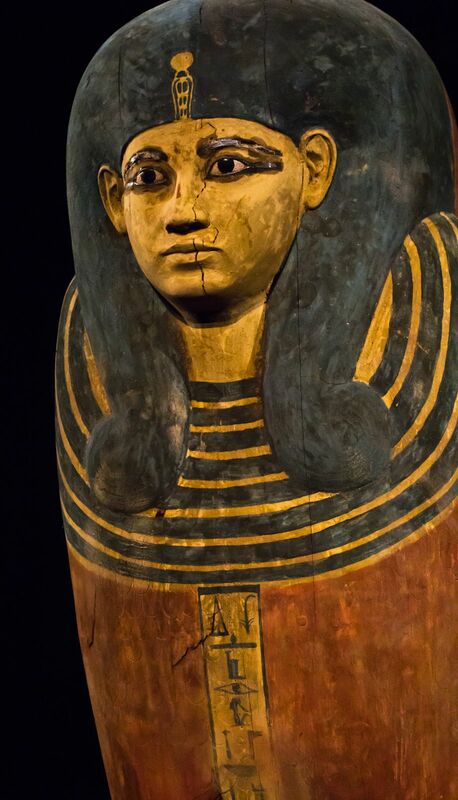 We have read in many chapters of the Coffin Texts that the s3mt was cut -although not destroyed (CT 334) – and offered, and that seems to happen when the mourners were shaved. But, do we know exactly what the s3mt was? 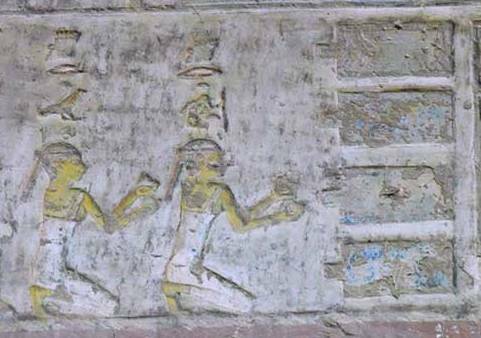 The Egyptian word s3mt had different meanings. According to A. Erman and H. Grapow, it meant “sadness” ; but s3mt could also be “moan”  or “mourning” . Some scholars have translated s3mt as “lock of hair” . Some consider that it could describe “not cut hair” as a sign of mourning or “careless hair” . William A. Ward took as basis chapter 1131 and affirmed that the expression Hdq s3mt meant “cut the dishevelled hair” and for giving this meaning to s3mt he referred to the Prophecy of Neferty. W. Helck translated “…today none will dress hairstyle for death” but M. Lichtheim considered that Neferty was saying that the mourning was not done and for G. Lefrebvre Neferty’s words said “…there will not be mourning ceremonies…” Before that Neferty told how none would cry nor fast for the death, that is, would nobody do the orthodox funerary practices; that means that s3mt could be considered as an Egyptian word for the mourning as a funerary custom. So, for us it makes more sense to translate as: “…today will not be the s3mt carried out…” and it would match perfectly with the chaotic image Neferty is describing. 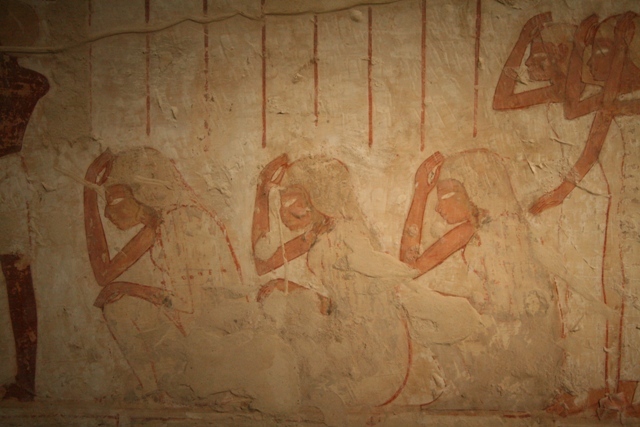 Group of mourning women. 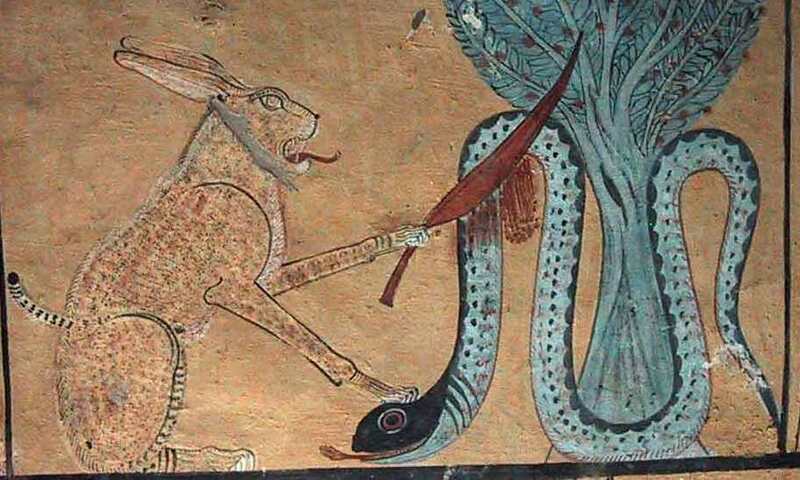 Unfinished painting from the tomb of Userhat in Gourna. XVIII Dynasty. Photo: Mª Rosa Valdesogo Martín. Thanks to some stelas found in Serapeum we know that during the embalming of Apis there was mourning ceremony called s3mt: “… I was among the miserable, being in moan, being in mourning . The word s3mt could refer to an spect of the mourner’s hair or just to the mourning itself. 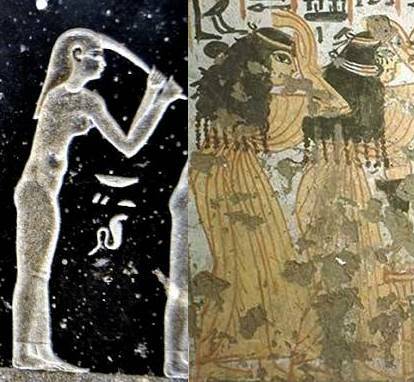 Everything points to the Egyptian word s3mt as a funerary custom related to hair and mourning, but nothing indicates that it could refer to a special hairstyle. Would it be maybe the two mourners’ hair manipulated during funerals for the deceased’s benefit? D. Meeks, 1977-1979, p.306, nº 78.3295. R.O. Faulkner, 1962, p. 210. D. Meeks, 1977-1979, p. 239, nº 79.2409. D. Meeks, 1977-1979, p. 304, nº 77.3349. G. Lefebvre, 1988, pp. 101-102. W. Jansen, 1994, p. 35; J. Vercoutter, 1962, pp. 37-38.